In this article, we’re going to look at how you can set up multiple IPNs with PayPal. PayPal limits users to a single IPN URL which can be limiting for vendors who already use other platforms that require notifications from PayPal. Remember, unlike other platforms, using ThriveCart you personally own your subscriptions in your PayPal account. ThriveCart uses notifications from PayPal to update your ThriveCart dashboard with things like your recurring payments, any refunds or cancellations that occur directly in PayPal, and some other affiliate related notifications. These will then all tie into things like your behaviour rules you’ve set in ThriveCart. Use a software tool like Zapier. Use a software tool like SonicIPN. Use a custom script (advanced). 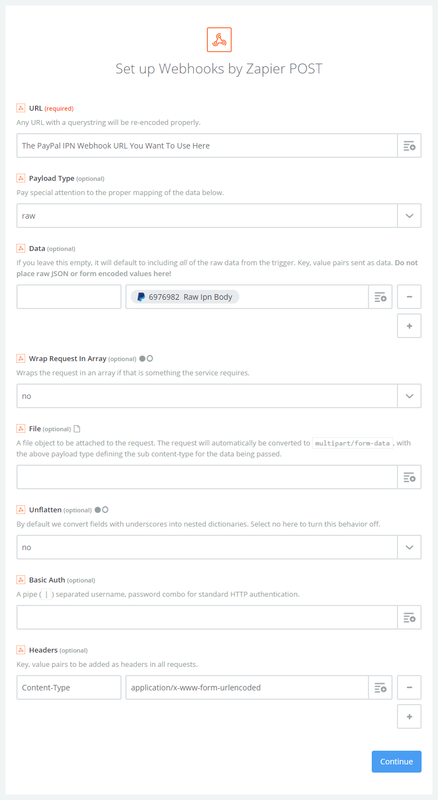 Zapier has their own dedicated helpdesk article here on setting up multiple IPNs with PayPal. You can also watch a quick video run through below. You ThriveCart IPN will be the following, you just need to replace ‘subdomain’ with your own subdomain. This is more for the advanced users who don’t want to use Zapier or SonicIPN and understand code. There is an article here with example code that walks you through creating your own script to set up multiple IPN support with PayPal. Note; we’re not affiliated with any of these options.